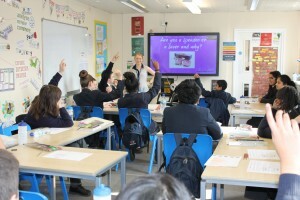 The Money Charity’s Money Workshops have a significant positive effect on the financial capability of young people, in terms of confidence and perception of knowledge, even when the majority of students experience only one one-hour workshop. This is one of the findings of a new school-level randomised controlled trial (RCT), exploring the impact of The Money Charity’s Money Workshops on students’ financial capability. The RCT study found that our Money Workshops were effective at improving students’ self-reported confidence in managing money, how much they know about savings and credit, and how much they know about planning and budgeting. It was also found that teacher capability to deliver financial education themselves was improved by attending the workshops, an unanticipated but welcomed consequence. Read more about the findings in a summary of the report or the full report.